The second instance of All Our Yesterdays will take place from February 1 to March 15, 2015, in Campus Library Arenberg – Heverlee and Tweebronnen Library – Leuven (BE) and, for the first time, will present Remembering All Our Yesterdays, a travelling exposition for Senior citizens. Taking the photographs outside the library setting, this event seeks to bring the images of the All Our Yesterdays exhibition to Senior residences. 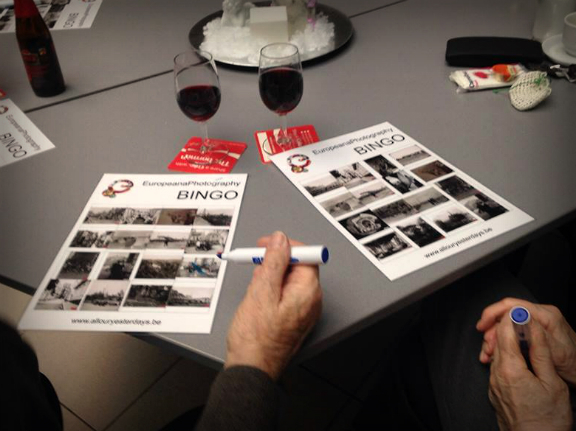 We offer to set up a selection of images in a recreation room at the institution, followed by a short lecture on the history of these photographs and, especially for this occasion, a Photo-Bingo game with special prizes for the winners. This interactive session is aimed at not only displaying Europe’s photographic treasures, but also at making this a cheerful and joyful event for Senior residents.